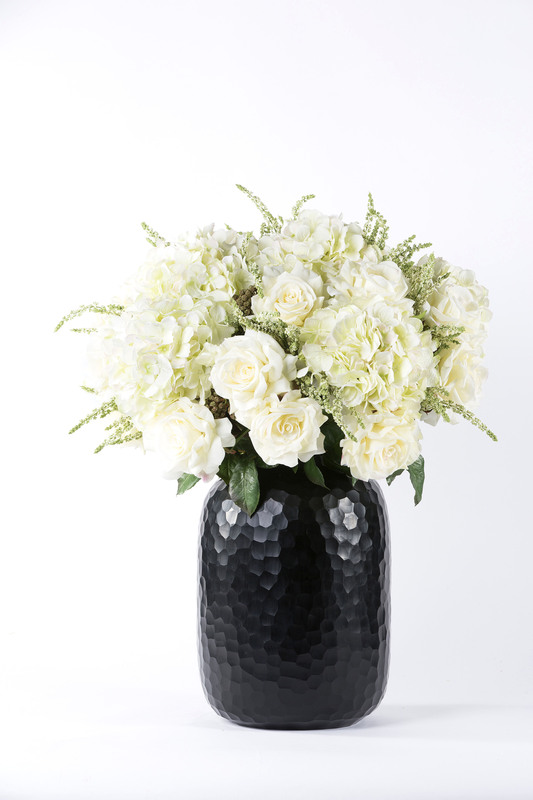 A classic black & white colour combination. 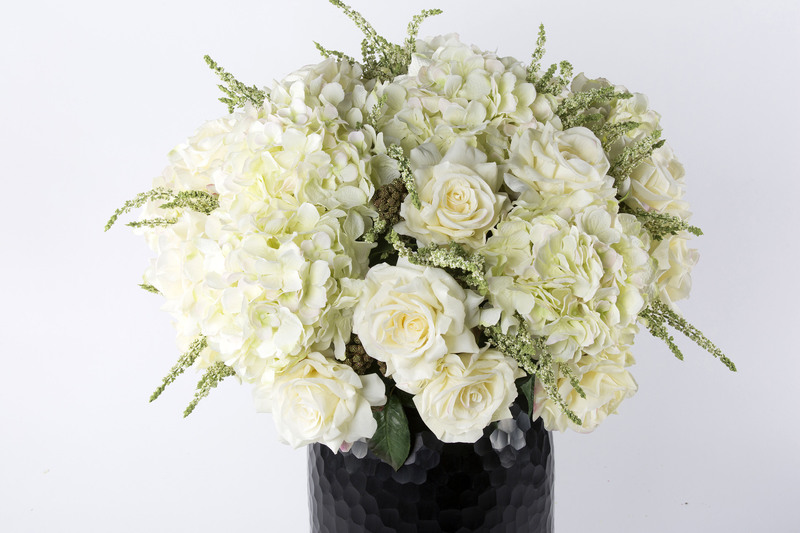 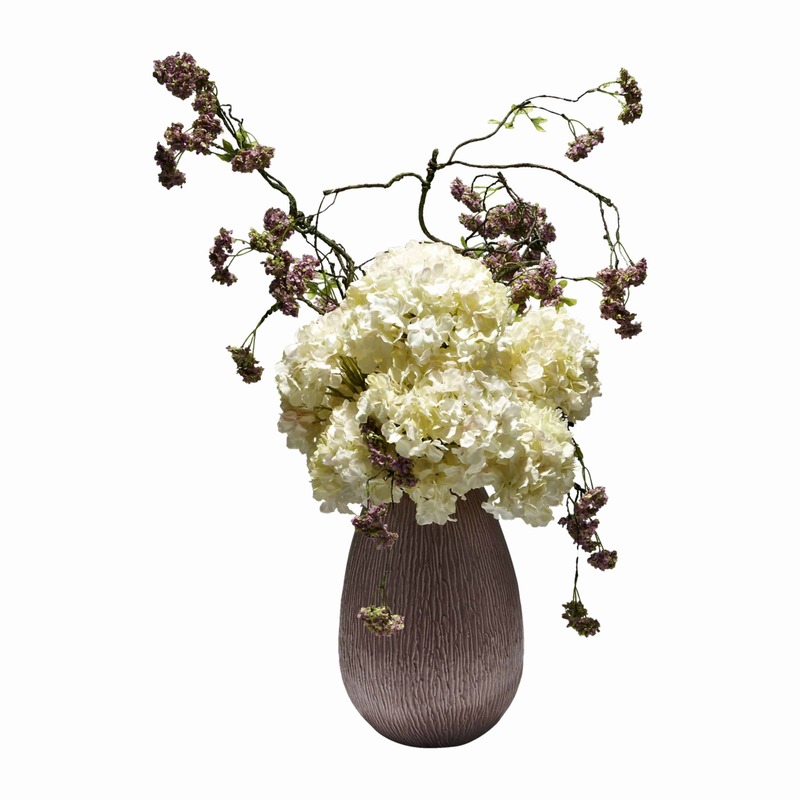 We’ve designed this bold statement piece with white hydrangeas, heather, safari berries and roses. 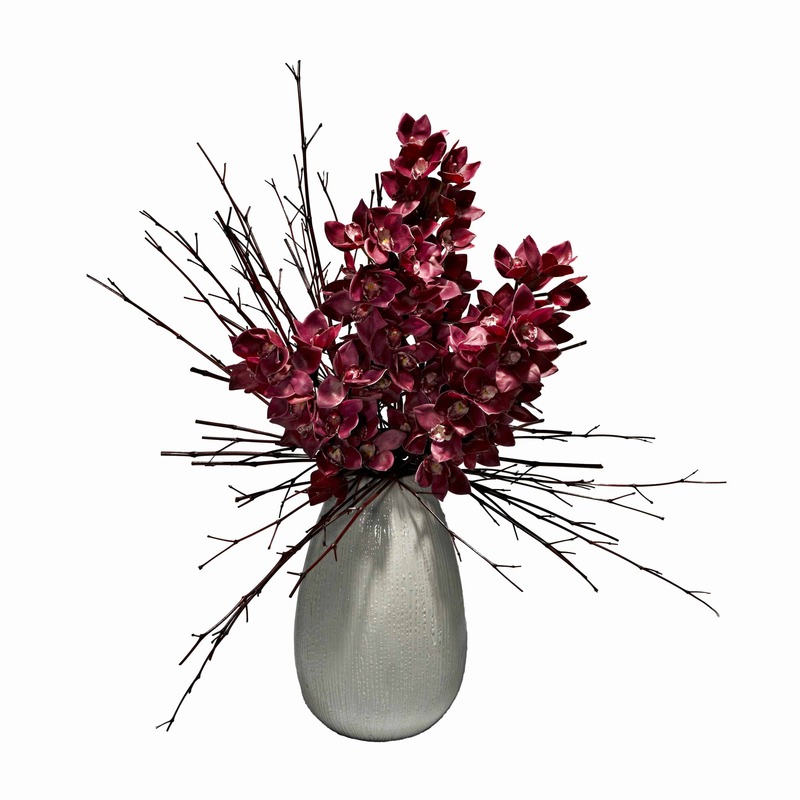 The dark black carved vase adds a luxurious touch. 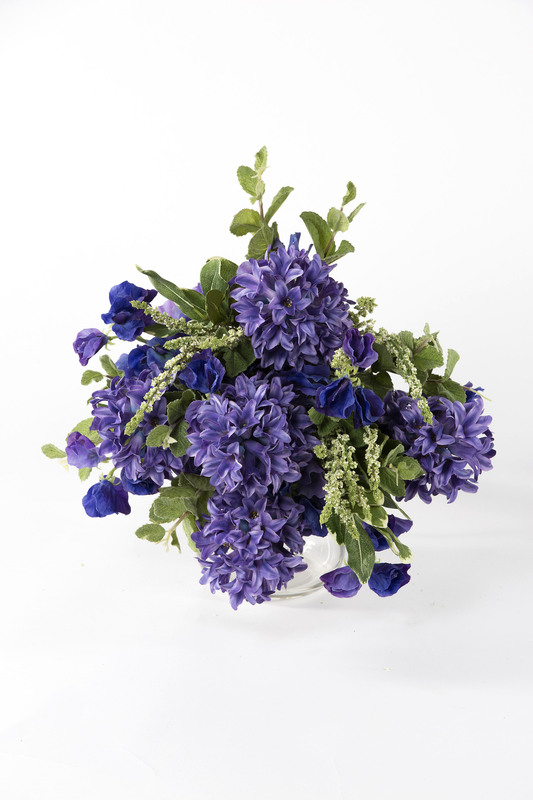 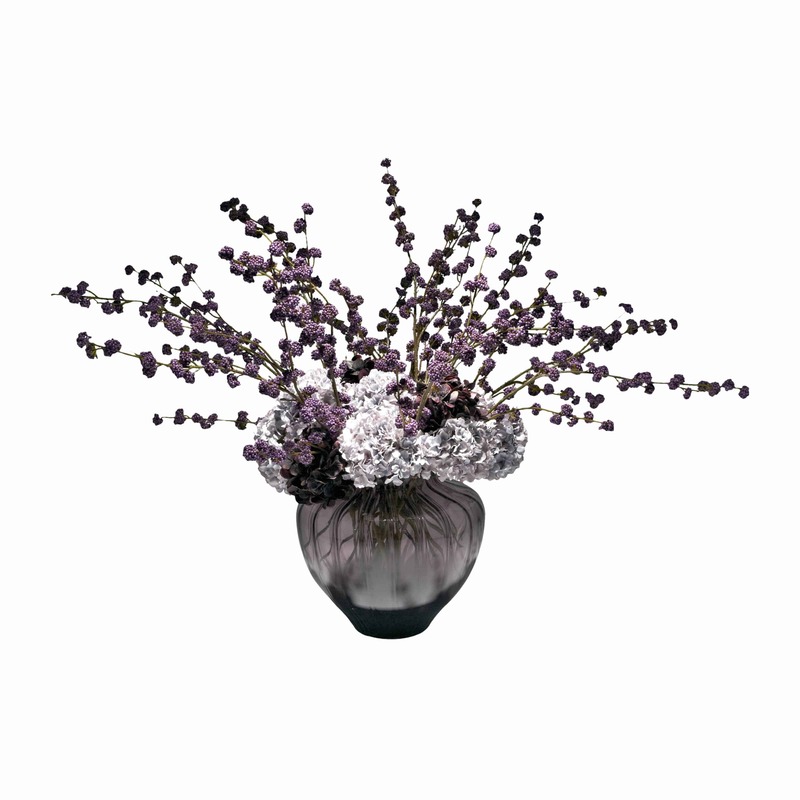 Bring a focal point with this compact and sumptuous faux arrangement.